The small procession follows the lilting sound of the bagpipes through the narrow valley this November afternoon. The Chester County woods are open, the leaves gone from the branches and littering the forest floor so the music can spread out. Children living in the development along the rim of the valley, run outdoors to see what is going on. It is All Soul’s Day and a few dedicated souls of the living are walking to Duffy’s Cut to commemorate the souls that lost their lives in this historic place. One hundred eighty years ago, ‘Duffy’s Cut’ was a gaping notch in the topography along the route of the then-proposed Pennsylvania and Columbia Railroad. The Cut was needed to be completely filled in and spanned, so tracks could carry the railroad onward across neighboring Chester County. Back in 1832, young strapping Irish boys were contracted by a construction boss named Philip Duffy, and brought over from Ireland. Their job was to build Mile 59, the most difficult and deadly mile of railroad. In six short weeks, every last one of them was dead. Some died of cholera, but prejudice against Irish Catholics contributed to the denial of care to the workers. Murder is the way at least seven met their end, when their remains were discovered in 2009 in a mass grave. Bullet holes, hatchet wounds, impact blows were found in the skulls that Dr. Bill Watson and his team of students at Immaculata University dug up. 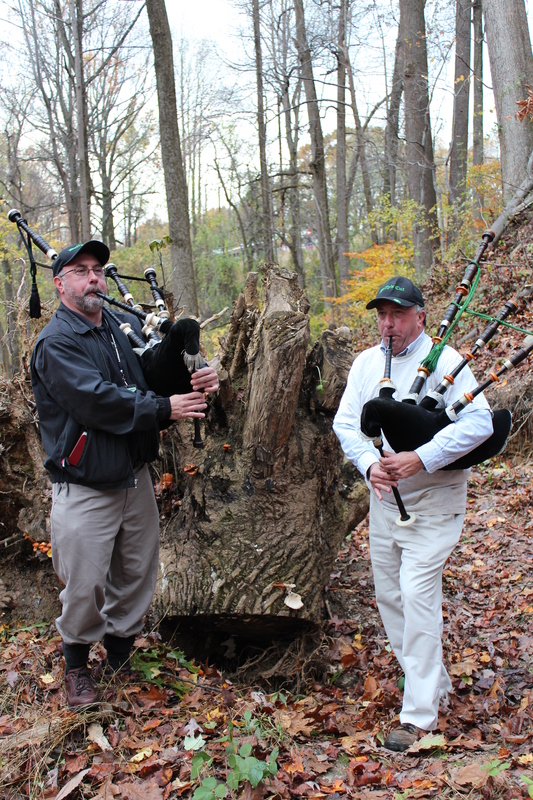 Bill is one of the bagpipe players whom I follow like the piped piper, along with his twin, Rev. Frank Watson. These two men have led the search to find the 57 men after they discovered a secret file of the Pennsylvania Railroad in their deceased grandfather’s belongings. Seven victim’s remains have been recovered and fifty more lie in a much larger mass grave near the present day AMTRAK tracks. The ongoing Duffy’s Cut Project www.duffyscut.immaculata.edu/ continues with this important archival and archaeological search. In ancient times, ‘The Day of the Dead” was a day in which the souls of the dead would return for a meal with the family. Roman Catholics took this pagan belief and commemorated November 2 as “All Souls Day.” What better way to spend the afternoon than with the victims of Duffy’s Cut. 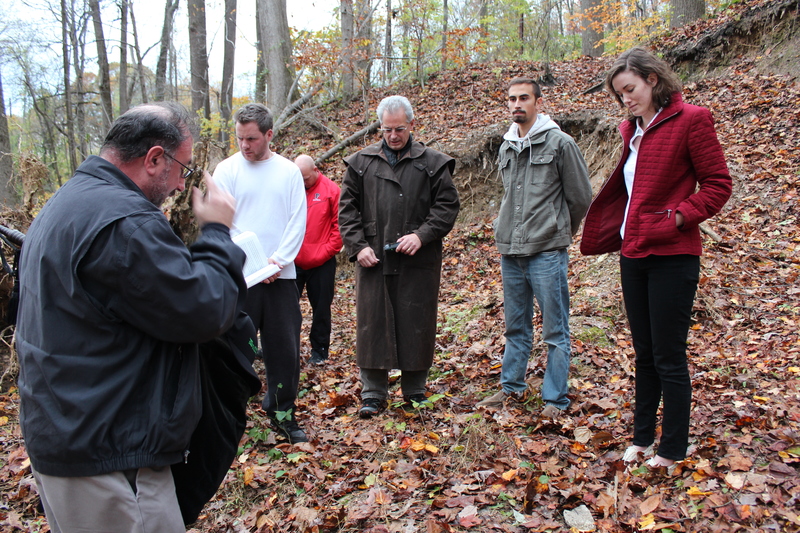 The informal service is held by the massive unearthed stump of an ancient tulip poplar tree. The seven victims were found right alongside it and it needed to be cut down in order to retrieve their remains. Bones were found intertwined in the trees’ fingery roots. It began growing ten years after the burial. “Four of the murdered seven fed this tree root,” Bill tells me. 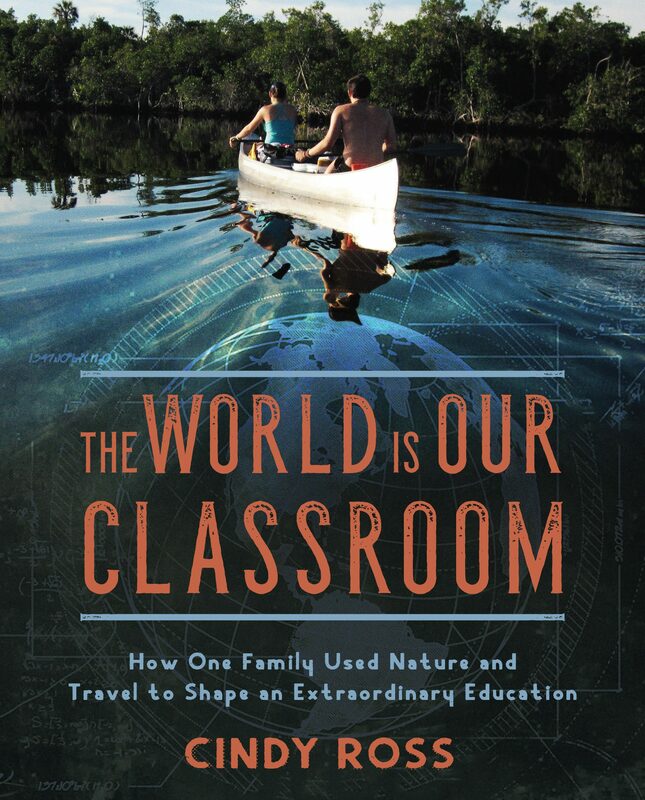 “If we chipped away at the soil that clings to the wood, we’d probably still find bits of bone,” he continues. The tree roots twisted themselves amongst the last remains of the Irishmen, their decomposing bodies actually helped to nourish and grow this tree. 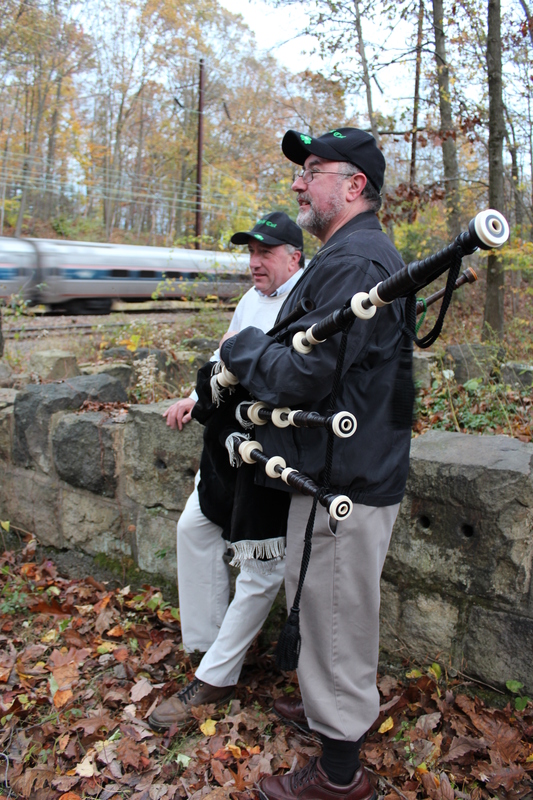 After we bow our heads in prayer, the Watson brothers pipe “Amazing Grace.” As we gaze around the area and think of their camp in this valley where they toiled and died, a speeding commuter whizzes by, a connection to today’s modern world. Up behind the burial site of these seven and the ancient grade of the Pennsylvania and Columbia Railroad, sits the more recent built-up fill of AMTRAK’s line. After the lovely little ceremony concludes, we walk up to the stone monument wall built in the 57’s memory in the early 1900’s. An observant commuter on his way to Malvern may catch a glimpse of this sign and wall. Here is the location of the remaining 50 victims. Perhaps in the future, their bones will also be released from their hold in the earth and their story told. But in the meantime, it is enough to just be here with the Duffy’s Cut souls on this important day. To let them know we care and that they have not been forgotten. Really wonderful recap of the fellowship shared there. thank you- thank you for being part of it- are you FB? i have 2 stories coming out soon that i can send you links- give me your e-mail too.